When you first arrive at the offices of GM Coachwork, situated just off the A38 between Ashburton and Kennford, you are not prepared for the sheer scale of the operation. I met with Paul Barber, Minibus Sales Specialist, who has been with the company for 23 years. A friend of CEO David Vooght, he was approached to take the position of Workshop Manager, where he remained for ten years, but Paul’s always been driven by sales and so feels better suited to his current role. 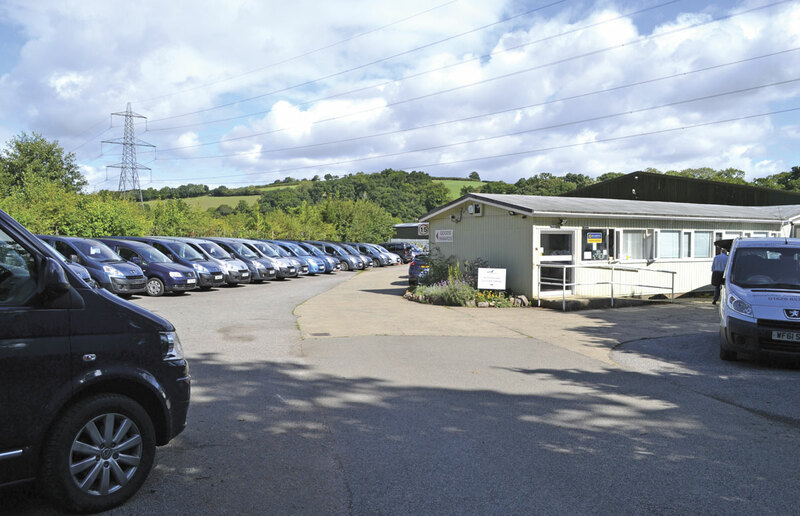 They started converting minibuses and diversified into small WAV’s (wheelchair accessible vehicles) in 1992 from the village of Ipplepen, some 12 miles south of the current location and relocated to larger premises 15 years ago. They now have two sites and employ around 140 staff. 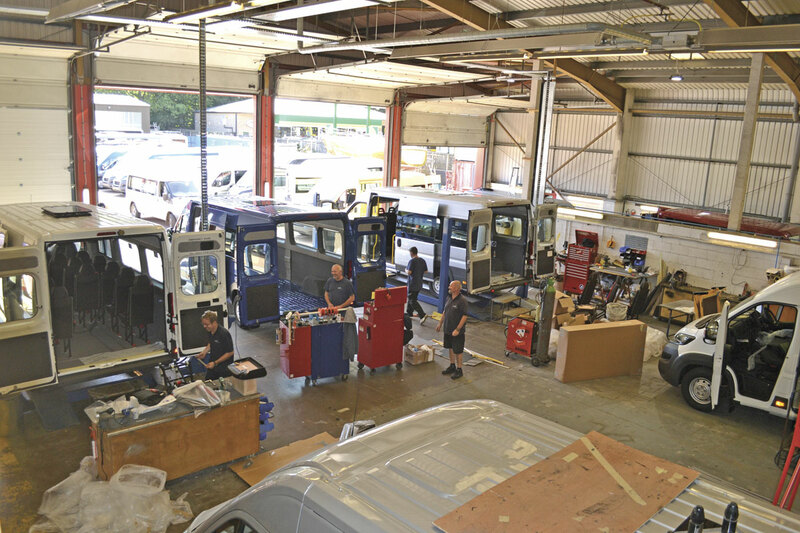 The main site manages most of the bespoke vehicles whilst the second site is more of a production line for core products. David’s background is in mechanical engineering with Westland Helicopters. He is very much involved in the development of products at GM and Paul expressed that his ‘Technical knowledge is fantastic.’ Outside of the business, David likes to take part in road trip auto challenges, think Top Gear (or The Grand Tour) and you will be on the right wavelength! 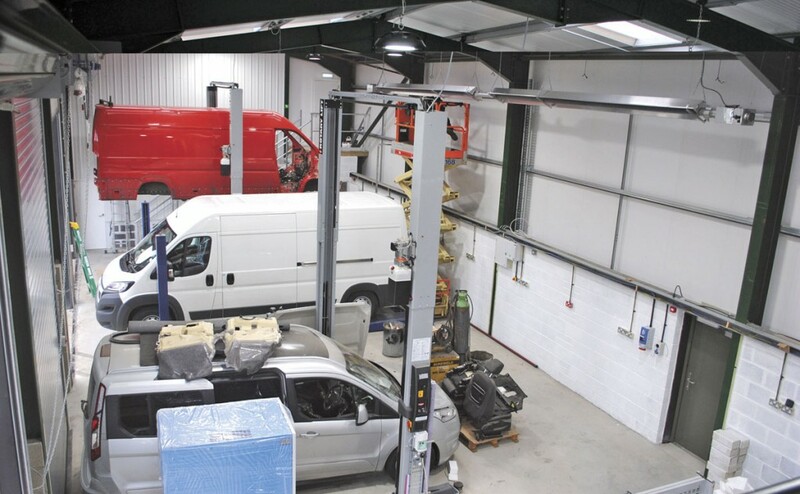 The main workshops are where the wheelchair accessible vehicle conversions take place. 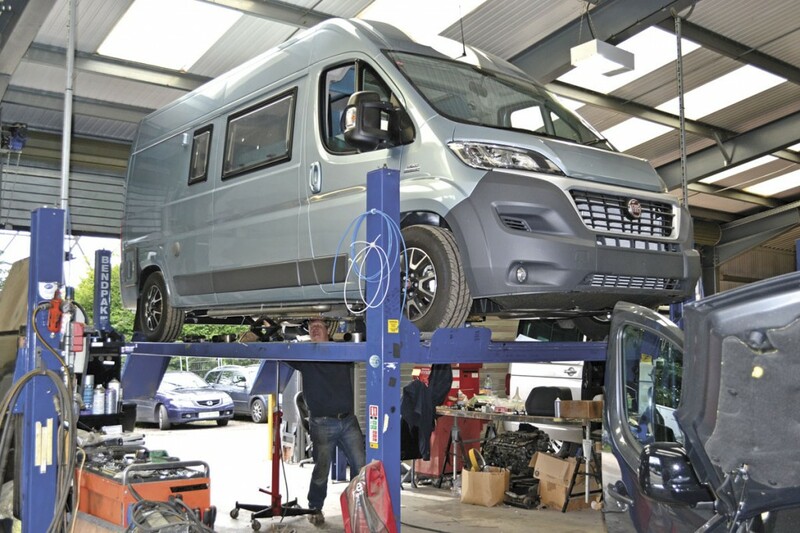 The range covers anything from a car conversion for a single wheelchair to a six wheelchair vehicle and there may be up to 24 vehicles being worked on at any one time. Many of the assembly staff are multiskilled and for trainees they offer on the job training as vehicles can vary greatly. Most of the vehicles are assembled using vehicle lifts although there is one pit suitable for full length buses. Paul told me that certain vehicles don’t lend themselves to being converted to a WAV for various reasons. The Citroen Berlingo is their current biggest seller and a single seat wheelchair conversion can be turned around in an astonishing 21 hours, using their own kit. At the time of my visit, they had already converted nearly 400 this year. Sometimes when a model is upgraded by the manufacturer, they have to take into consideration whether it is still suitable for adaption and this is where the R&D team comes in to its own. The department has six dedicated personnel who work solely on coming up with solutions to a whole range of obstacles and designing new products. They work with local fabricators to come up with a cost effective and workable end product, based on their prototypes. One such device is the Scoot and Stop, a unique product which securely locks a mobility scooter into position. The passenger can drive the scooter onto the vehicle and then secure it to the special floor fastening with a simple one switch operation. It is fully crash tested for scooters up to 200kg and can be adapted to suit most mobility access vehicles. Fortunately, the R&D department have good support from the various manufacturers and many of the single wheelchair vehicles get exported to Europe as they have European Community Whole Vehicle Type Approval and they have adapted vehicles to left hand drive for this market. Some of GM’s conversions have been exported as far afield as Australia. DVSA inspectors visit twice a week to award IVAs and the company has just completed a purpose built inspection unit which will also be home to their R&D department. A rolling road will be fitted as part of the new IVA lane and they will be able to complete their M1 and M2 testing in house. 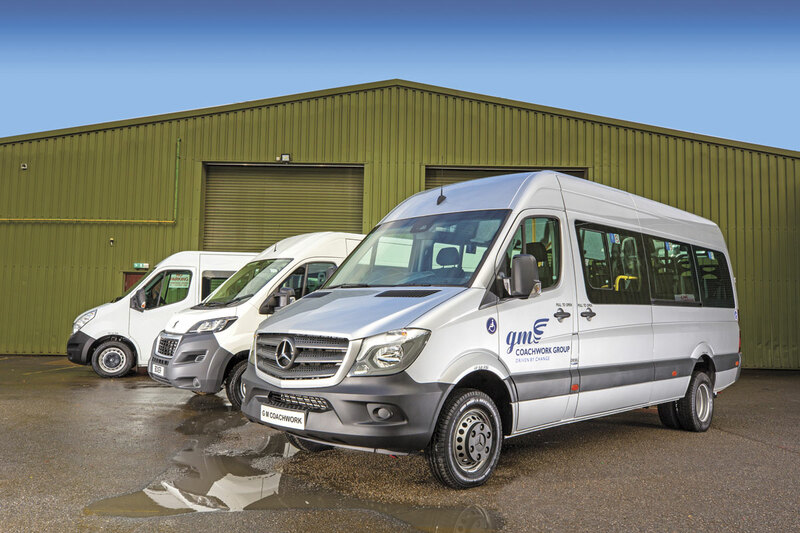 GM Coachwork doesn’t produce coachbuilt vehicles, but offers van conversions to minibuses. Paul said that there isn’t really any van that they don’t or can’t convert, but in general, they tend to stick to buses up to 17 seats (16+ driver). They can and have done larger, but that is not their core product. The customer base of GM Coachwork is vast, although Paul confessed to his favourite customers being the community transport operators as they are all very much about the product and over the years the company has forged long relationships with a number of fleet operators. Minibus Lite is the company’s answer to the D1/D2 driving licence issue. This bespoke, Type Approved 17 seater school minibus can be driven by any member of staff with an ordinary driving licence. It has proven to be a big success since it was introduced in 2011. Although under Paul’s control, it has its own production plant based at the company’s second site a few miles away in Newton Abbot. Three sales people specialise in selling these lightweight minibuses from a dedicated sales office. Based on a Peugeot Boxer, GM initially developed five versions of the vehicle which they have now fine tuned down to three models. 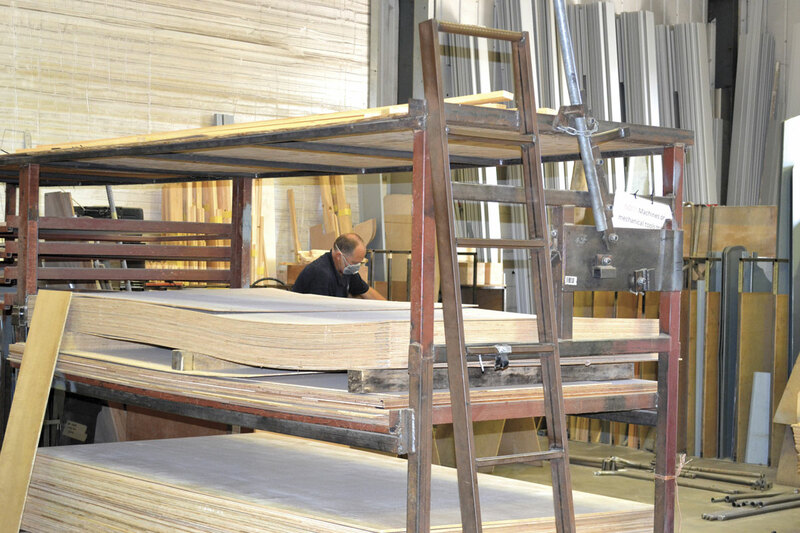 Unlike the bespoke products, Minibus Lites are built on a production line to ensure an efficient, high quality output. Paul explained how it ‘stirred up a bit of the hornets’ nest in the beginning because of its weight, with people questioning whether it would be safe. It was two years in development and testing with R&D and a lot of the component parts were adapted by the department, including their roll out step which is unique to this product. 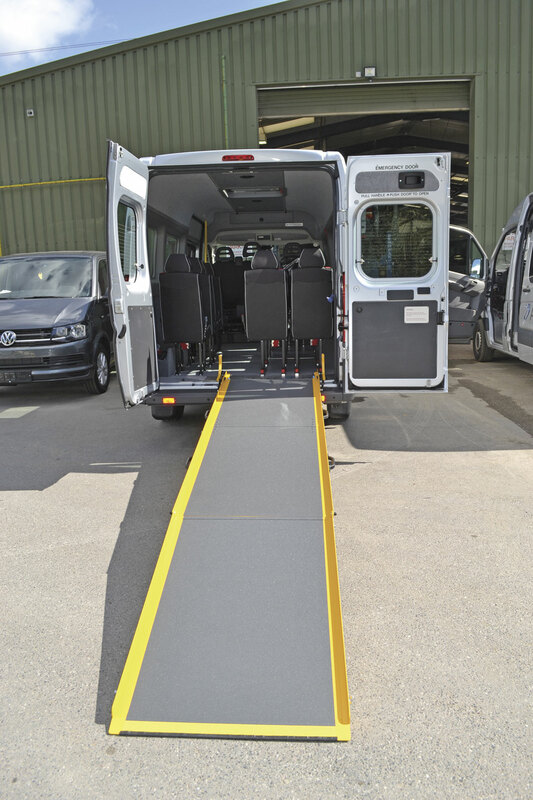 They have also developed the ‘Lite 2 Go’, a ‘moveable, removable, fully compliant, fold-out ramp’, which Paul believes is an industry first. 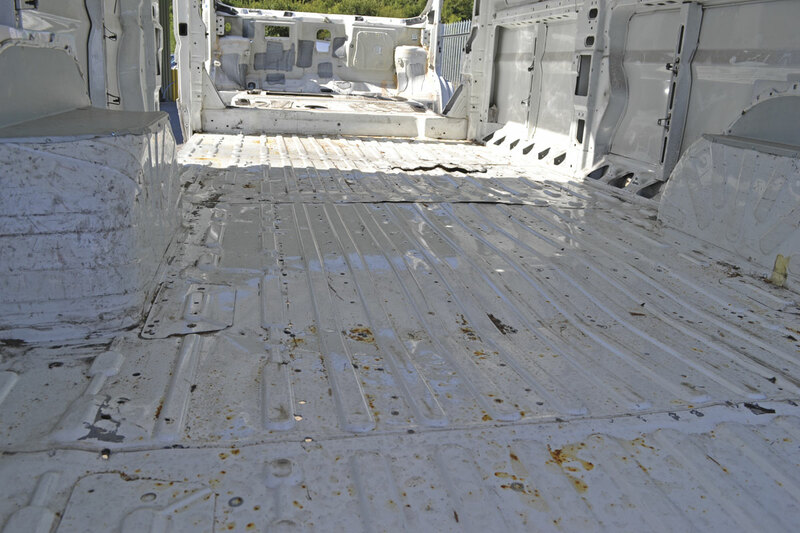 It comes with a Neoprene cover to make it less visible from the rear of the vehicle and when in its stowed position, it allows escape access within the legal width boundaries. Sales of the Minibus Lite have grown year on year, despite there now being competition in the market. Paul added, ‘I still think we are a long way ahead of the game and we have just had our Boxer pass ECWVTA, which is brilliant news and will make a massive difference to our turnaround time and paperwork.’ From date of order, Paul anticipates eight to ten weeks for delivery. He explained how the IVA process had been a nightmare, with applications and processing taking longer than building the bus! Specification one (Standard Model). Peugeot Boxer L3 3.5tonne 16 seats. 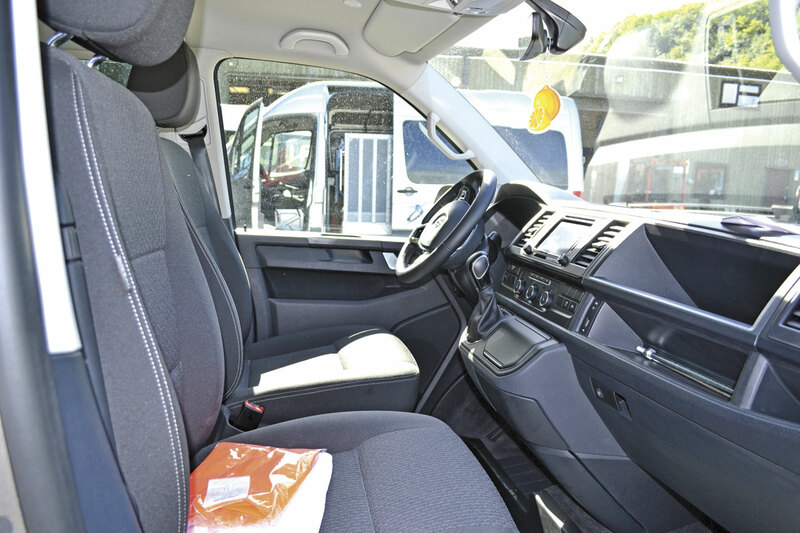 13 fixed rear cabin seats with all-age seat belts and headrests (seat belt anchorages tested to ECC Directive) fully trimmed interior, factory fitted windows, automatic retractable side step, high visibility hand rails, hard wearing and easy to clean floor. Specification three (Reduced Mobility). Peugeot Boxer L4, 4.25tonne 17 seats. As specification one and including the following: Ten fixed and four removable seats, four point wheelchair restraints, partially tracked floor, Lite 2 Go ramp. The 4.2 Minibus Lite is the company’s best seller of the three and Paul claims it has a better payload than the Ford Transit. Specification five (Wheelchair Accessible). Peugeot Boxer L4, 17 seats. 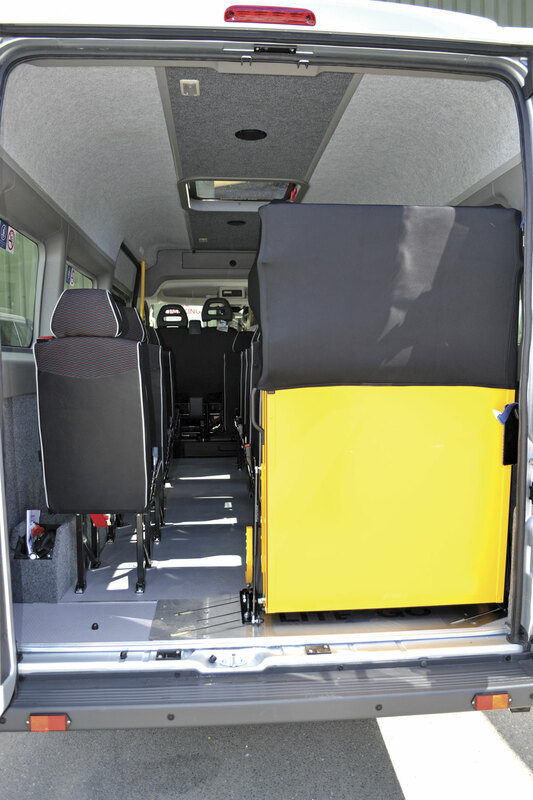 Additional features of each Minibus Lite include; metallic paint, opening side windows, electric front windows, adjustable heated door mirrors, M2 tested seats, height adjustable driver’s seat, driver’s airbag, overhead driver locker, DAB radio/CD player, Bluetooth connectivity, remote central locking, electronic immobiliser, Lane departure warning system, ABS, EBA, EBFD. There are a number of optional extras, including tow bar, front parking sensors, CCTV in rear saloon and air-conditioning, with the most popular being reversing camera and sensors. Every Minibus Lite has a Peugeot three year manufacturer’s warranty complimented by GM Coachwork’s own three year warranty. With the company selling nationwide and in Europe, they offer a nationwide aftersales service and also have a fleet of engineers on the road supporting this. Last month, GM Coachwork delivered over 100 vehicles, a big ask for their five delivery drivers, but it is all part of the service that they offer. Customers are actively encouraged to visit the site and it isn’t unusual for them to meet the person who is building their vehicle. They have three demonstration drivers and they tend to do the handovers. They do a full ‘familiarisation’ of the vehicle as part of the handover, which will go through the basics such as where the oil goes, how to operate the lift and the adjustment and removal of the seats, even how to open the boot if it’s not obvious! Within the handover pack will be the aftersales numbers, although should something happen during delivery, it would be the sales person who would pick this up as the first port of call. They recently delivered a vehicle to the Isle of Islay and, in view of its remoteness, should there be a problem with that vehicle, they would recommend that the customer used a local, reputable garage and GM would then cover those costs. As part of their aftercare package for Motorbility vehicles, the aftersales team will visit the customer a month after taking delivery, to ensure that they are happy with everything. GM then piggybacks off this, to look after all their other customers. Most of Paul’s customers are community transport providers, local authorities or councils. What tends to happen is that although they may want several types of vehicle, they tend to have one point of contact, which is often Paul, as his experience and knowledge across the range allows him to be able to advise on most of GM’s products and it also helps maintain forged relationships. Paul has two sales staff, Lee and Geoff, who support him. In addition to new vehicles, GM Coachwork also sell used vehicles, all of which go through the same, thorough pre-sale checks. These may be ‘buy backs’ or part exchanges. They also offer contract hire services. 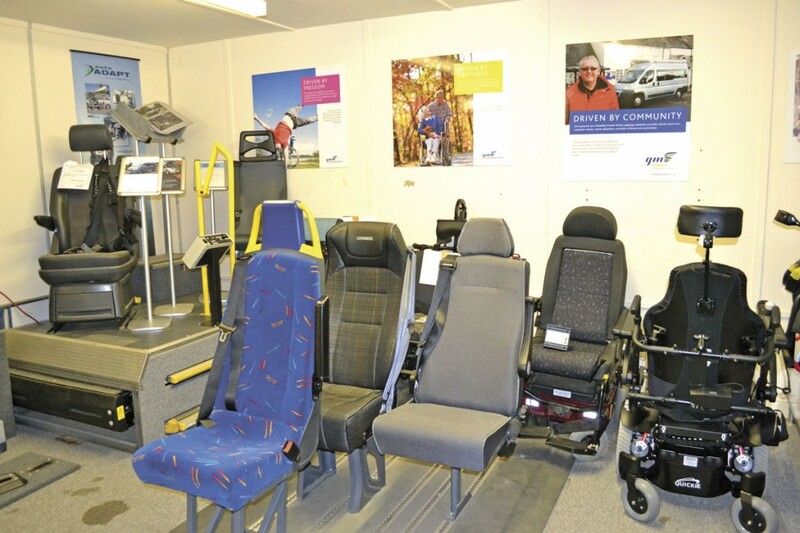 Seat fixtures are mostly supplied by Unwin Autoadapt, who also supply a lot of their wheelchair equipment. 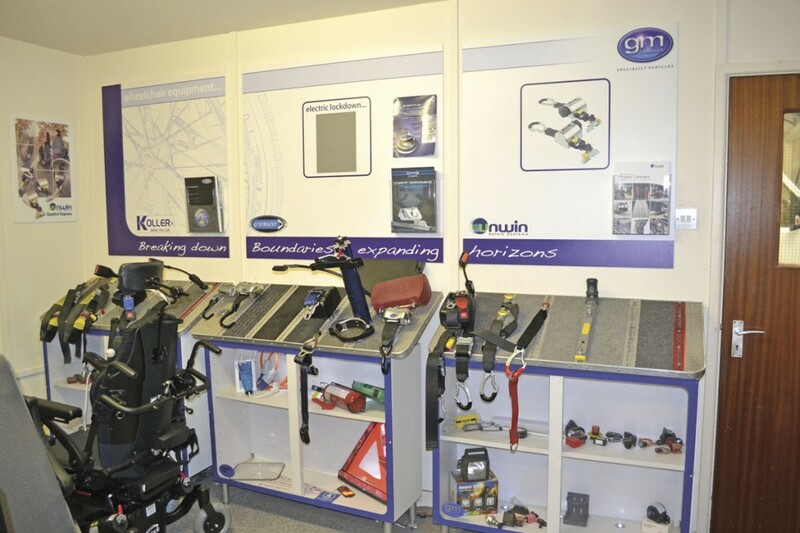 Restraints are specified by the client to suit their particular needs and they work with Unwin Autoadapt, Koller and Q’Straint with these, examples of which are also available within their demo room. The type of lift or ramp is very much dependent on the type of vehicle and the client’s requirement. PLS provide the majority of their under floor lifts. The inboard lifts come from Unwin through their BraunAbility range and they also provide a lot of the flooring. As I said at the beginning, the site belies the scale of the operation at GM Coachwork. I spent several hours looking at the operation and seeing numerous vehicles in various stages of build. What was apparent is the company has a skilled and dedicated workforce and are always looking at ways to improve their offering and stand out in their marketplace as an innovative company.